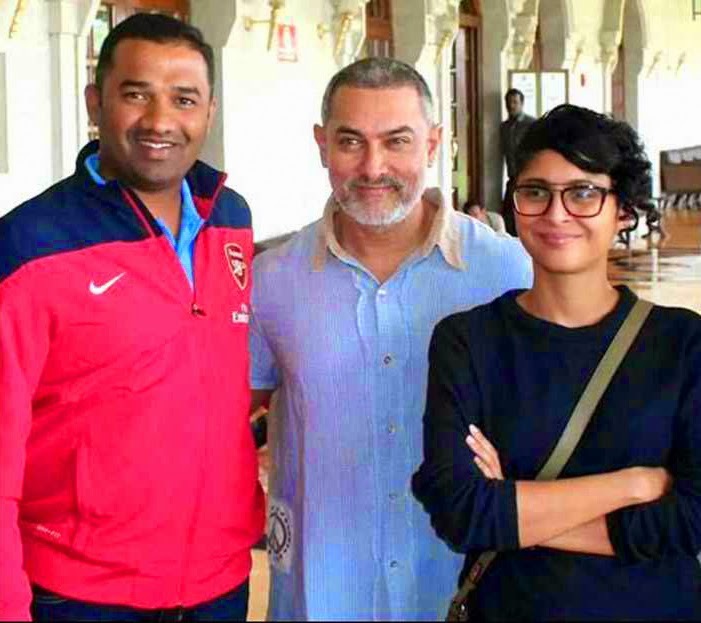 Check out the Exclusive Strange Look of Bollywood ka Super Star Amir Khan from the upcoming film Dangal which means "Wrestling Match". He is the actor always tries to deliver a fresh films and the latest Blockbuster hit film PK is the finest example for that. This is the Exclusive pic spotted recently featuring Aamir Khan along with wife Kiran Rao.